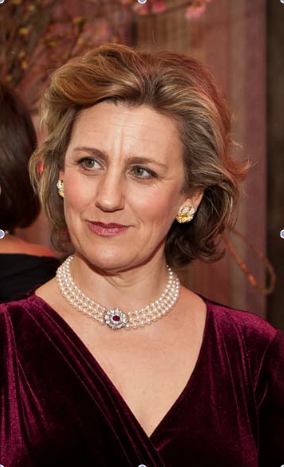 RussianMind spoke to Princess Katya Galitzine about her role as chief executive of the Hermitage Foundation UK and future plans for the UK-Russia Year of Culture 2014 and the 250th anniversary of the museum. RussianMind: What role do you and the Hermitage Foundation UK play? Katya Galitzine: The Hermitage Foundation has evolved since the days that the Hermitage Museum had rooms in Somerset House. There are International Friends organisations throughout the world set up to support and develop relations with the Hermitage Museum. The first Foundation began in Amsterdam, mainly due to the enthusiasm and energy of Ernst Van Weem, who recognised the importance of restoring the ceiling for the Rembrandt Gallery - which was in a dreadful state after the Soviet years and threatened to ruin one of the greatest collections of their most famous Dutch artist. St Petersburg and the Netherlands have much in common, as it was Amsterdam that Peter the Great went to learn ship building before planning his ideal city, his 'window on to the West' - St Petersburg. After the Dutch Friends, the British Friends united to open the Hermitage rooms in Somerset House in 2000, where for 6 years there were exhibitions brought over from St Petersburg. When Somerset House redeveloped its premises, the organisation changed its focus and now works like a very exclusive 'art club' - membership is for those that know and love the Hermitage and through their donations we are able to support many projects suggested by the Museum. RM: What kind of events do you organise here in the UK? KG: To thank our 'Friends' we organise private visits to the main Museums in London, often with the curators. The Hermitage has a constant flow of exhibits coming to exhibitions in the UK and we arrange viewings of these pieces. This year alone, there have been exhibits at The British Museum, the National Gallery, the Courtauld Institute, the V&A, as well as less famous galleries such as The Brunei Gallery and, of course, the hugely successful exhibition Houghton Revisited at Houghton Hall in Norfolk, where the paintings from the collection of England's first Prime Minister, Robert Walpole are on display in their original setting, having been purchased by Catherine the Great in 1773. RM: What sort of projects does the Foundation support? Is there a lot of interest in the Hermitage Museum here in the UK? Projects that our Friends support vary - from sponsoring a visit to England for a Hermitage curator, which allows them to meet their colleagues in the UK Museums and research academic papers on their chosen subjects. This scheme is hugely popular with both the Hermitage and the British curators, as it allows an exchange of information that would otherwise is quite difficult to access. Through the Foundation we publish one catalogue raisonnè per year; these catalogues are vital for the art world to know what is held in the Hermitage collections - so often, the department has every exhibit listed with its provenance, only in Russian and these volumes we produce, then get distributed around the world to museums, art libraries and academic research centres again expanding people's awareness of what treasures lie within the walls of this great museum. The books are beautifully produced and are available to the general public too. RM: Recently you've supported various exhibitions in Russia and the UK, such as Houghton Revisited. What events do you have planned for 2014? KG: Over the last few years, the main thrust for the Hermitage Foundation UK has been the 20/21 Project; so called because it supports the new premises in the General Staff building, where the collection of 20th and 21st Century art will be displayed. Since 1926, the Hermitage has not made any acquisitions and therefore the general public in Russia has not seen 20th Century art first hand. Therefore, the plan is to use these galleries to bring exhibitions of major collections from the 20th Century to Russia. The first big show, this year, 2013, has focused on German Expressionism; next year will be Surrealism and Dada'ism; to be followed by a Marcel Duchamp exhibition, as a landmark of when the language of art changed; Abstract Expressionism and Pop Art. These 5 major shows are considered by the new contemporary art department to bring the Russian audiences up to date with what is going on in the art scene of the 21st Century. At the same time, individual shows will be brought to the new galleries - which opened with a lot of uproar with The Chapman Brothers 'End of Fun' last October, an exhibition that provoked a lot of attention in the Russian press and hence launched the new exhibition space for the Hermitage. The exhibition was entirely funded by money raised by the Hermitage Foundation UK. RM: Can you tell me more about plans for the Morozov and Shchukin collections? KG: The General Staff building will be up and running throughout 2014, as the famous collection of Impressionist and post-Impressionists collected by the Moscow merchants Shchukin and Morozov, will be moved to this new venue. 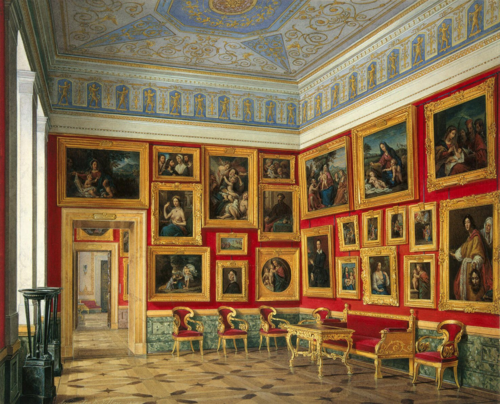 Some of the best examples of work by Monet, Van Gogh, Picasso, Matisse will be given a space of their own, rather than the low ceilinged, stuffy third floor of the Winter Palace, where they have hung since the 1930's. RM: Hermitage 20/21 Project, which will be hosting Manifesta next year. What do you think of the Hermitage's venture into contemporary art? KG: Manifesta, the European Biennale will explode upon St Petersburg, infiltrating the old halls of the Hermitage museum with contemporary art. The chosen curator, Kaspar Konig, is keen to have living artists interacting with the old collection of the Hermitage museum. The same idea was used by Antony Gormley in 2011, when he removed all the Greek classical statues from their pedestals and interspersed them with his own block sculptures of the human form, 'Still Standing' was another exhibition funded entirely by the UK Foundation and was a huge success, visitor numbers breaking all previous records for contemporary art. RM: How important do you think the upcoming UK-Russia Year of Culture is for this major state Russian museum? KG: For next year, the 250th Anniversary coincides with the Anglo Russian year of culture, so the big show to end the year will be one of the greatest British artists, Francis Bacon - an exhibition planned together with the Sainsbury Centre in Norwich. On a smaller scale but of no less importance to the world of art, the UK Foundation plans to raise the money to restore a lost canvas by Francois Gerard of the Duke of Wellington, that has been found in the storage rooms of the Hermitage, having been rolled up for over 80 years. We hope the project will conclude during the Anniversary year of the Battle of Waterloo, in 2015. RM: Next year will also be particularly important for the Hermitage, as it will be celebrating its 250th birthday! How will you be marking this momentous occasion? KG: Next year will be a year of celebration and attention for the Hermitage. 250 years ago Catherine the Great began her private collection of art, by sending her Ambassadors around the world to buy collections for her Hermitage. 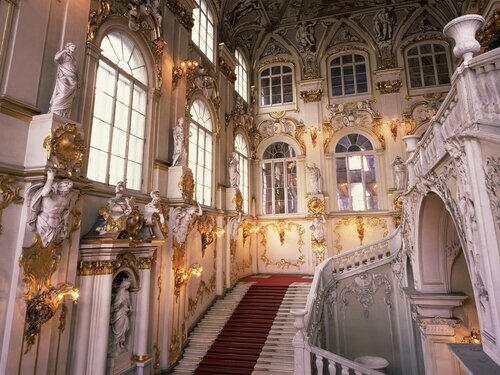 Now, we the Foundations of the Hermitage (also in Holland, Italy, Canada and USA) are working together to make this year particularly important for the Hermitage; we will host a magnificent event at Spencer House on 1st May and the Winter Palace will host a Gala Ball in the Museum on 27th June. Let us hope that by the end of 2014, the name of the Hermitage and its’ collections will be as famous and familiar to everyone as the Louvre, the Prado and the Met.